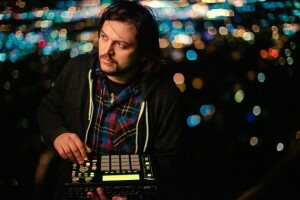 When a nationally known producer and electronic musician is coming to the area, that’s news. When he lets WVUD interview him, that’s pretty fantastic news! Michal Menert, coming to Coda, in Philadelphia, on Th Oct 1, and Mandorichard had a lot of fun talking with each other about Michal’s musical influences, his dad, the rock scene in late 20th century Poland, copyright, using musical samples like a painter uses the colors on his palette–and lots of other topics. Oct. 1, Michal will be kicking off a nationwide tour with his 6-piece band, the Pretty Fantastics. He said that they are combining live instruments and mixes in a way that is different from a lot of the music he has released in the past. We listened to “Shanghai,” a single from a new album he and the Pretty Fantastics are about to release and “Jettison” from Space Jazz–both examples of the mixture of layered sampling and live performance. His music is complex, thoughtful, experimental yet approachable. Listen to the interview linked below. He’s great fun to chat with, and, you’ll enjoy the musical selections, too.